Today, CDRLabs brings you a review of Plextor's new 256GB M5 Pro Series SSD, the PX-256M5P. 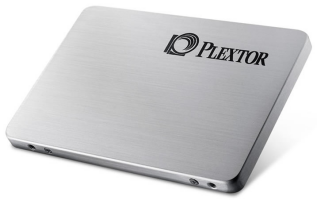 Powered by Plextor's True Speed technology, this 7mm thick SSD uses high quality components like Marvell's new 88SS9187 controller chip and Toshiba's 19nm Toggle NAND flash to deliver up to 540MB/s read and 450MB/s write speeds as well as a maximum of 86,000 4KB random write IOPS. The M5 Pro also features an enterprise-grade double-data protection system to protect the integrity and confidentiality of your data. This system includes 256-bit AES encryption as well as Plextor's new True Protect technology, which ensures that data is stored and retrieved without error. It's finally in stock at Newegg! Another great SSD from Plextor, but again to expensive for "felt performance"
The Pro versions are always expensive. I'd expect the M6S to perform nearly as well and cost a lot less. I don't know what Plextor is doing with Plextool. The download link no longer works. I ordered a second PX-256M5P and will be posting some RAID results one of these days. But who uses Raid for SSD? People who are crazy and want 1000 MB/s speeds? You dont have a M5S for review? Scour wrote: You dont have a M5S for review? It looks like a Crucial M4 with Plextor-FW and a bit higher priced. Yeah, it was Plextor's attempt to break into the entry level market. The problem was that it really wasn't an improvement over the M3 Series. In case you guys don't check Facebook, here's what two PX-256M5P's can do in RAID 0. IOPS jump to 160,000 at QD32. Nice, but did u really feel the difference in standard-use of PC? Scour wrote: Nice, but did u really feel the difference in standard-use of PC? lol.. no, you won't. Upgrading from a HDD to an SSD is a huge upgrade. Anything beyond that isn't really going to be noticeable for everyday stuff. Now if you're editing a lot of videos or working with a database, you probably would.